Sumo bean bags are built with high quality rip proof material, making it very durable and easy to clean. Their bean bag chairs are designed for an urban lifestyle and provide stylish alternative to boring furniture. All of their bean bags come in a range of colors, styles and sizes, that are perfect for any room. 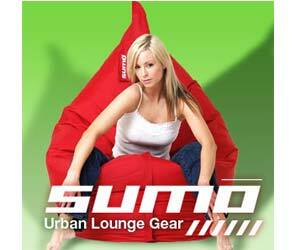 Sumo bean bag products have free-shipping on all orders through their secure online ordering process. That empty space you have in your room? Put a Sumo Lounge there! This isn’t your typical bean bag!